If you like to gamble (which I don’t—hate watching my money just evaporate), you have plenty of opportunities in South Florida. Let’s see: There’s the Hard Rock Casino in Hollywood, the Miccosukee Resort in Miami, the Magic City Casino also in Miami, the Mardi Gras Casino in Hallandale Beach, the Coconut Creek Casino west of Pompano Beach, Gulf Stream Park in Hallandale Beach. There are gambling day cruises from Fort Lauderdale. You can do pari-mutuel betting on horses, dogs, and jai alai. There are internet cafes for on-line gambling. Apparently, you can even gamble on pee-wee football leagues, which is pretty creepy. 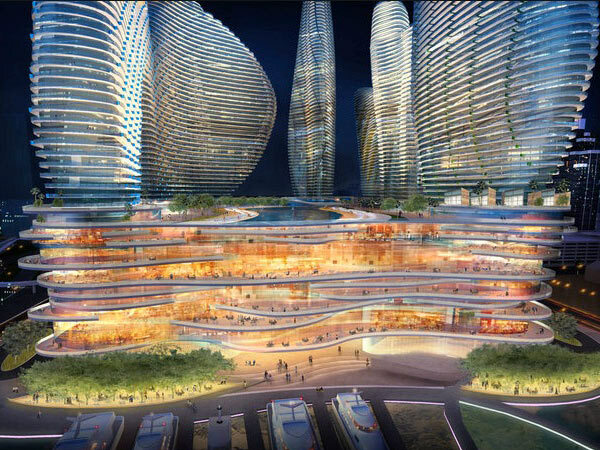 But all of this is just penny-ante compared to what may be in store for South Florida if the big Asian and Vegas gambling interests get approval for megacasinos that would dwarf any of the existing gambling venues. When the Malaysian gambling behemoth Genting bought the Miami Herald building on Biscayne Bay in downtown Miami last spring and released plans for a huge resort/casino, everyone woke up and took notice. A bill to allow three megacasinos without requiring local voter approval failed in the state legislature in February, but nobody believes the issue is really dead because there is big money behind it, and in Florida politics—perhaps even more than elsewhere—money talks. I don’t really have a moral objection to gambling. My distaste for it is more an esthetic one. I used to be a sucker for old school Hollywood movies where men in black tie played roulette in tony European casinos while sipping champagne and exchanging lascivious glances with women in deep décolletage and fabulous jewels. It just seemed so damn cool! Of course, the argument the megacasino proponents make is economic: more tourists and more jobs. When unemployment is near double digits, the promise of jobs and investment in new destination resorts can sound pretty appealing. But do those promises have any reality? Again, looking at Atlantic City might be a sobering antidote to giddy expectations. Walk a block inland from the glitzy Boardwalk casinos, and you’re in another world entirely. The rest of the town is still as depressingly seedy as it was before the arrival of Harrah’s and Trump and the rest of the “destination resort” hotels. I had dinner in an empty Italian restaurant two blocks off the Boardwalk and felt like I’d walked into a morose Edward Hopper painting. I don’t know where all the casino-generated revenue is going, but it doesn’t seem to be helping the rest of Atlantic City much. Eye on Miami blogger Geniusofdespair observed pretty much the same thing when he visited the Genting casino in Queens, NYC out near JFK. The problem, of course, is that people who go to a “destination resort” casino are likely to stay in the resort. And the bigger it is, the less likely that they will venture out into the surrounding city, because everything they want is already right there. It’s like being on an enormous cruise ship that doesn’t go anywhere. Restaurants that can open up branch concessions inside the resort may do well, but how likely is it that resort guests will patronize other local restaurants when there are so many choices available without leaving the compound. It’s analogous to the “Walmart effect” on small­ town retail business, only on a much larger scale. That’s why the sheer size of the Genting proposal is important (even if, disappointingly to some, it wouldn’t be the world’s largest casino after all). Not surprisingly, the Indian tribes that operate casinos on tribal lands and the pari-mutuel operators (termed “greedy” by Bogdanoff) who have been greasing legislative palms lobbying state lawmakers and making political contributions for years didn’t like any of this and joined the opposition. The state GOP found itself in a quandary with a religious base that thinks gambling is sinful, but then there was all that money… Governor Rick Scott clammed up on the subject. Former congressman Lincoln Diaz-Balart (brother of current Miami-Dade GOP congressman Mario Diaz-Balart) hopped on the Genting bandwagon, along with the Latin Builders Association and South Florida Associated General Contractors. Disney opposed the bill, as did their ally the Florida Chamber of Commerce. The City of Miami Beach vowed to fight the bill. Miami mayor Tomas Regalado was sorta for it, then equivocated. Well, you get the idea. The Herald published a good chronology of the issue here. Now the gambling interests may try to circumvent the legislature by seeking a referendum for an amendment to the state constitution to allow the megacasinos. A PAC called (what else?) “New Jobs and Revenue for Florida” is reportedly being formed for that purpose. And it could work: Polls have shown broad public support for gambling casinos. So expect to see lots of TV commercials claiming that casinos will cure Florida’s economic ills—there’s plenty of money to pay for the propaganda. Or politicians’ votes. Whatever. One way or another, it’s not over until the fat cats sing. As much as there’s some opposition to Genting setting up a casino in Florida, my hunch is it’ll more than likely be given the go-ahead…eventually. The money in it will be too tempting for the government. The government will also convince itself it’ll mean more jobs, when they know it’s far from the reality of what will actually happen.